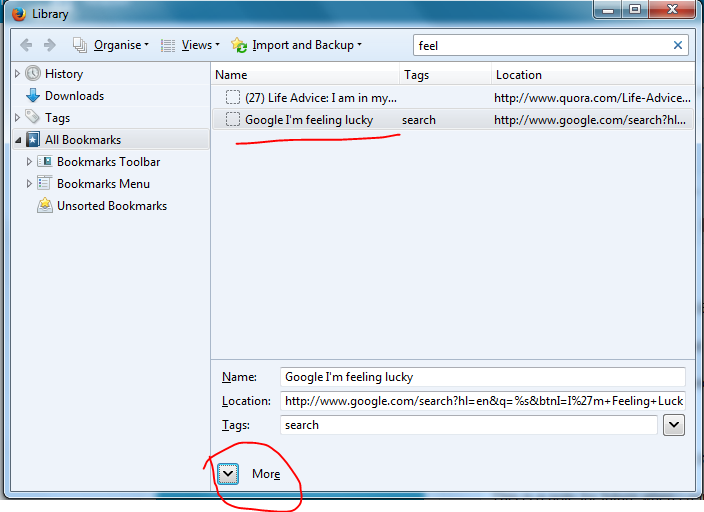 Search for “google feeling” to find the page we just bookmarked. In the keyword field give gfl. Now from the address bar just start the search with gfl search query and it will be similar to pressing the I’m feeling lucky button in Google Homepage. This is a note for future when I reinstall browser/OS. This entry was tagged bookmarks, Firefox. Bookmark the permalink.